It's been a pretty insane year. The Diablo 3 Switch port and then Wyatt asking "Do you not have phones? "; at Blizzcon 2018 with Diablo Immortal's reveal. 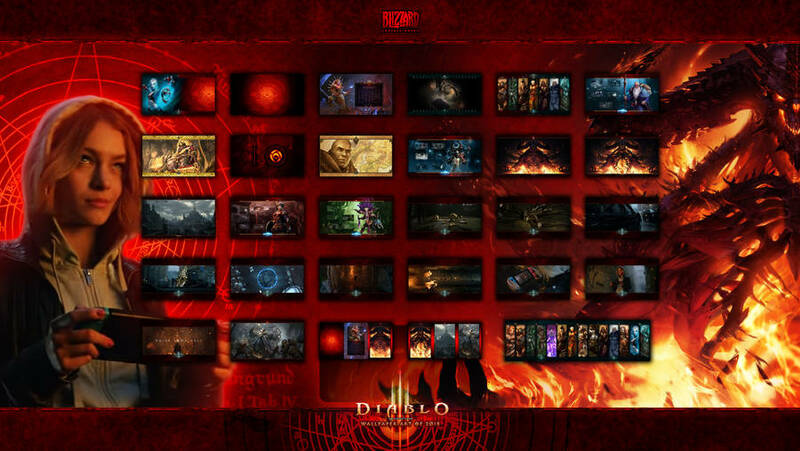 Expect many more wallpapers for Diablo Immortal, Heroes of the Storm, and Diablo 2/3. Enjoy everyone & Happy New Year. Also the background behind the collage will be available after the 1st.